oil Archives - Africa M.E. 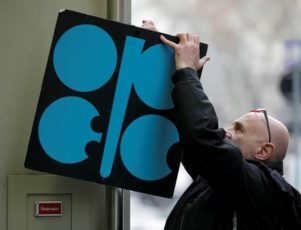 LONDON (Reuters) – OPEC oil output fell in March to an 11-month low due to declining Angolan exports, Libyan outages and a further slide in Venezuelan output, a Reuters survey found, sending compliance with a supply-cutting deal to another record. The Organization of the Petroleum Exporting Countries pumped 32.19 million barrels per day last month, the survey found, down 90,000 bpd from February. The March total is the lowest since April 2017, according to Reuters surveys. OPEC is reducing output by about 1.2 million bpd as part of a deal with Russia and other non-OPEC producers to get rid of excess supply. The pact started in January 2017 and runs until the end of 2018. Adherence by producers in the deal rose to 159 percent of agreed cuts from 154 percent in February, the survey found. There was no sign that other producers had boosted output to cash in on higher prices or to compensate for the Venezuelan decline. Oil has topped $71 a barrel this year for the first time since 2014, and was trading above $67 on Wednesday. Still, OPEC says supply restraints should be maintained to ensure the end of a glut that had built up since 2014. In March, the biggest decrease in supply came from Angola, which exported 48 cargoes, two fewer than in the same month of 2017. Natural declines at some fields are weighing on output. Production in Libya, which remains unstable due to unrest, slipped because of stoppages at two fields, El Feel and El Sharara, setting back 2018’s partial recovery in output. And production fell further in Venezuela, where the oil industry is starved of funds because of an economic crisis. Output dropped to 1.56 million bpd in March, the survey found, a new long-term low. Output in OPEC’s largest producer, Saudi Arabia, dropped by 40,000 bpd from February’s revised level, even further below the kingdom’s target. OPEC’s No. 2 producer, Iraq, pumped more. Exports from the south, the outlet for most of the country’s crude, rose despite maintenance at a loading terminal. Exports declined from the north but domestic crude use increased. Among others with higher output, the biggest rise came from the United Arab Emirates, where production had dropped in February due to maintenance. Even so, the UAE is still pumping below its OPEC target and showing higher compliance than in 2017. Output climbed in Qatar, after a dip in February that sources attributed to maintenance. Nigeria also pumped at a higher level, extending a run of more stable supply from Africa’s top exporter. Nigeria and Libya were originally exempt from cutting supply because their output had been curbed by conflict and unrest. For 2018, both told OPEC that output would not exceed 2017 levels. OPEC has an implied production target for 2018 of 32.73 million bpd, based on cutbacks detailed in late 2016 and taking into account changes of membership since, plus Nigeria and Libya’s expectations of 2018 output. According to the survey, OPEC pumped about 540,000 bpd below this implied target in March, not least because of the involuntary decline in Venezuela. LUANDA (Reuters) – Oil production for Angola, Africa’s No. 2 crude producer, averaged 1.632 million barrels per day in 2017, down from 1.72 million barrels the previous year, the chairman of the state-run oil company Sonangol said on Wednesday. Angola has been grappling with the effects of generally depressed oil prices on its government finances but is constrained from lifting production because it is committed to OPEC-mandated cuts. Angola is a member of the Organization of the Petroleum Exporting Countries, and it must limit output in line with OPEC’s commitment to cut output by about 1.2 million barrels per day (bpd) as part of a deal with Russia and others. 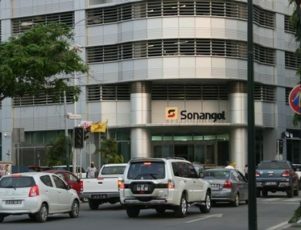 Sonagol chairman Carlos Saturnino also told a media briefing that the net profit for Sonangol, which regulates Angola’s oil sector, was $224 million in 2017 versus $81 million the previous year when oil prices were lower. It was his first briefing since Angola President João Lourenço fired Isabel dos Santos, daughter of his presidential predecessor, from the helm of Sonangol. Lourenço took power in September and is seeking to win credibility with international investors and shed Angola’s image as an opaque oil economy with rampant corruption. 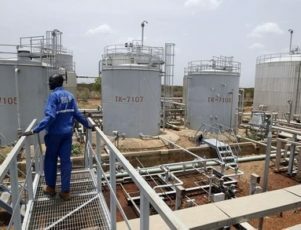 CAPE TOWN (Reuters) – South Sudan is producing around 130,000 barrels of oil a day and wants to increase its refinery capacity to supply fuel to neighbouring countries, the petroleum minister said on Monday. “We are focusing on four or five refineries so we can finally be able to sell to Ethiopia, Sudan, Kenya and Uganda,” Minister Ezekiel Lol Gatkuoth told an African oil conference in Cape Town. East Africa’s only mature oil producer, South Sudan is aiming to double oil output to 290,000 bpd in 2017/18 the finance minister said in January. 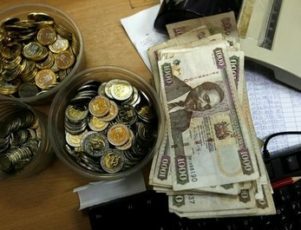 NAIROBI (Reuters) – The Kenyan shilling was broadly stable against the dollar on Monday, but some demand from oil and merchandise importers was seen giving the local currency a depreciation bias, traders said. CAPE TOWN (Reuters) – South Africa’s petroleum industry and striking workers agreed to a new two-year wage deal on Wednesday, ending a three-week strike that caused limited supply disruptions, an official representing employers said. Around 15,000 striking workers affiliated to Chemical, Energy, Paper, Printing, Wood and Allied Workers union (CEPPWAWU) agreed a 7 percent wage increase this year and an April CPI plus 1.5 percent hike in the second year, said Zimisele Majamane, the deputy chairman of the National Petroleum Employer’s Association. 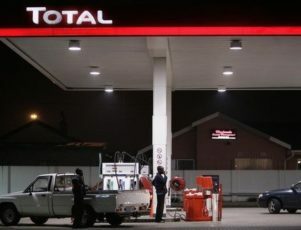 KAMPALA (Reuters) – Uganda’s cabinet agreed on Wednesday to allow the energy ministry to grant three oil production licences to France’s Total, the presidency said. Commercial crude reserves were discovered in the east African country a decade ago but production has been repeatedly delayed amid wrangling over taxation and field development strategy. The absence of key infrastructure, such as a crude export pipeline, has also slowed progress to production. The licences cover the Ngiri, Jobi-Rii and Gunya fields in the Albertine rift basin, the area along the country’s border with the Democratic Republic of Congo. The licenses will be valid for 25 years and can be renewed for an additional 5 years, the presidency said in the statement. 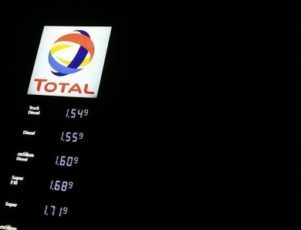 Total is the second oil firm to be offered a production license after one of its partners, China’s CNOOC. Tullow Oil, which also co-owns fields with Total and CNOOC, has also applied for production licences and has been waiting for approval for years. 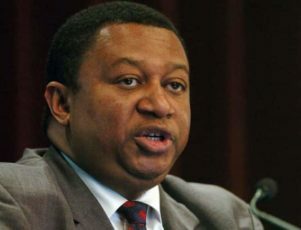 The oil cartel appoints Mohammed Sanussi Barkindo to a three-year term as secretary-general beginning Aug. 1. A Nigerian oil executive who helped develop key global climate change initiatives is the new-secretary general of OPEC. The Organization of Petroleum Exporting Countries named Mohammed Sanussi Barkindo to a three-year term as secretary-general beginning Aug. 1. Barkindo replaces Abdallah Salem e-Bardri of Libya in the cartel’s top job. Barkindo is an experienced oil executive who has worked for the Nigeria National Petroleum Corporation for more than two decades and was its director in 2009-10. He also has deep experience with the oil cartel, including service as its acting secretary-general in 2006 and 15 years on OPEC’s Economic Committee. According to Francis Perrin, Chairman of Energy Strategies and Policies, Barkindo’s work on climate change was also a decisive factor in his appointment. Barkindo helped produce the United Nations Convention on Climate Change and the Kyoto protocol as the leader of Nigeria’s technical delegation to UN climate change talks. Perrin said the appointment reflects growing recognition among cartel members of the importance of initiatives to stall climate change as OPEC struggles to find its footing on a shifting global energy landscape. Barkindo is also seen as a neutral party in simmering regional political tensions between OPEC members Saudi Arabia and Iran as well as disagreements about oil production limits. Barkindo earned a bachelor’s degree in political science from Ahmadu Bello University in Zaria, a post-graduate diploma in the economics of petroleum from the College of Petroleum Studies at Oxford University in the United Kingdom, and a graduate degree in business administration from Southeastern University in Washington, D.C. He has also been deputy managing director and chief executive of Nigeria Liquefied Natural Gas and managing director and chief executive of the international trading division of the Nigeria National Petroleum Corporation as well as general manager of the corporation’s London office. El-Badri had been set to retire in 2013, but stayed another three years because cartel members were unable to agree on a replacement amidst Middle East political tensions and discord within OPEC about whether to limit oil production as prices dropped. Venezuela, hard hit economically by the oil slump, put forth a candidate, Ali Rodriguez, its long-serving OPEC representative. Indonesia also considered fielding a candidate. Saudi Arabia and other Gulf members said they supported Barkindo for his experience and because Nigeria doesn’t take sides in Middle East power struggles. While the secretary-general does not have executive power in OPEC, the official often plays the role of a neutral mediator when there are differences within the group. It likely will fall to Barkindo to mediate ongoing conflict in the oil cartel over whether to limit production to prop up oil prices. OPEC has seen its influence on global oil prices waning amidst an oil glut coupled with the growth of production outside the cartel, including in the United States and Russia. OPEC member countries produce almost 37 million barrels a day compared to non-OPEC production of 57 million barrels daily, according to Global Risk Insights. Despite waning influence, OPEC’s unwillingness to set production limits has played a major role in creating an oil surplus, which has precipitated a two-year crisis. The price of oil plummeted to a low of $26 per barrel earlier this year. The current price is about $45 a barrel, less than half price of $110 per barrel in 2014, when the crisis began. Richer OPEC nations, led by Saudi Arabia, have been willing to take financial hits of low oil prices in order to preserve market share. OPEC has rebuffed calls to limit production by poorer members including Algeria and Venezuela, which have been hard hit by the slump. After OPEC members again failed to agree on limits in June, experts said the discord underscored the cartel’s waning ability to influence oil prices. 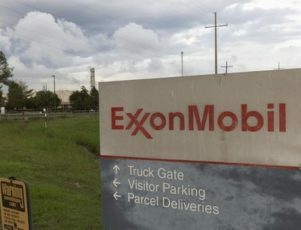 LONDON (Reuters) – ExxonMobil subsidiary Mobil Producing Nigeria has declared force majeure on exports of Nigeria’s Qua Iboe crude oil, the country’s largest export stream, a spokesman said on Friday. The declaration came after the company observed a “system anomaly” during a routine check of its loading facility on July 14. Nigeria has struggled to maintain its crude oil production following a spate of militant attacks and technical problems that in May pushed production briefly to 30-year lows. While the cause of the latest issue was not immediately clear, traders said it would take least two to four weeks to repair. Earlier this week, Exxon denied claims from militant group the Niger Delta Avengers to have blown up the Qua Iboe 48″ crude oil export pipeline operated by the company. Spokesman Todd Spitler said on Friday there was no connection between the force majeure and militant attacks. Exxon has struggled to bring production of Qua Iboe back to normal after an accident in May on a drilling rig that damaged a pipeline, after which the company also declared force majeure. Since lifting that declaration in early June, there have been roughly three revisions to loading schedules, attributed to a slower-than-expected resumption of flows, with loading delays of at least five days. JOHANNESBURG (Reuters) – New Sonangol chief executive Isabel dos Santos has suspended all talks relating to the sale of assets belonging to the Angolan state oil firm and stripped its internal legal department of most of its powers, a statement said. 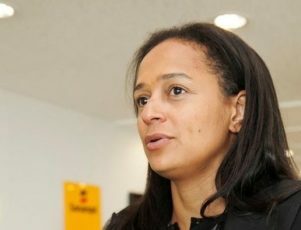 Dos Santos, the billionaire daughter of President Jose Eduardo dos Santos, was appointed to the Sonangol helm last month with orders to improve the efficiency of the sprawling 40-year-old firm, the central pillar of Angola’s economy. The statement posted on Sonangol’s website after a board meeting at the end of last month said “all processes of evaluation, negotiation and sale of any assets” had been suspended with immediate effect. Separately, it said the board had removed the legal department’s mandate to handle anything other than disciplinary matters. Again, the statement provided no more clarity. Isabel dos Santos told Reuters last month she planned to hive off Sonangol’s non-core assets, such as its banking, real estate and airline interests, into separate holding companies to bring the company’s focus back exclusively to oil. 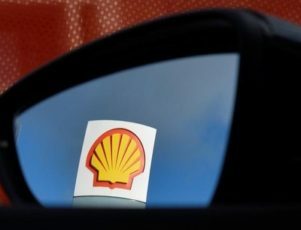 Boston Consulting Group and PriceWaterhouseCoopers have been hired as external advisers to the shake-up, which has won approval from the foreign oil firms operating in Africa’s top crude producer. Isabel dos Santos also said she intended to improve transparency at Sonangol, long been regarded as one of the most opaque institutions in Africa. In 2011, Sonangol was accused of misplacing $32 billion in oil revenues owed to the government. The International Monetary Fund later said it had managed to track down the missing cash, attributing the accounting discrepancy to “quasi-fiscal operations” conducted on behalf of the government.